A content delivery network speeds up your website by serving content closer to visitors. Sign up for a 1TB free trial and cancel at any time. Your website’s content is securely cached on our servers. We detect the location of your visitors and then load the content such as videos, images, text and HTML from the closest server. When you have a website, it is hosted on a web server which you rent or buy from a hosting company. You pay for storage, bandwidth and CPU. You may have a dedicated server, a virtual private server, cloud server or a shared hosting plan. From your hosting provider’s control panel, you can manage your domain and hosting resources through a control panel. When you sign up for CDN.net, your website will be securely cached in locations around the world. How does CDN cache my content? 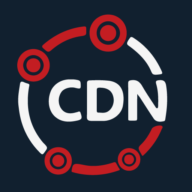 By simply entering your website URL or IP address, CDN.net ‘pulls’ all of the static content from your origin host and stores it on our edge servers located around the world. We are implementing support for ‘push’ which is appropriate for uploading large files to the edge servers and ‘stream’ for live video or sound broadcasts through HTTP or real time messaging protocols. Do you have to modify your web server? By changing a CNAME record through your hosting provider’s control panel, known as a DNS editor or Zone File editor, you don’t need to change any part of your website. Your visitors will retrieve content cached from our network instead of your own web server. How can you securely deliver any content? You can secure any content served through our network with an SSL certificate. We encrypt your images, video and other static content through HTTPS. Secure Sockets Layer (SSL) uses asymmetric cryptography for authenticating keys between a server and a user. You can use our shared SSL certificate for free or order a custom SSL domain through CDN.net. How can you test your website load times? We recommend Pingdom to monitor uptime and their free tools for testing page speed time. You simply enter your domain name and it will measure the size of each element on your page and their load times. This is independent testing that can show you how fast your site loads before and after implementing CDN. For a full list of monitoring tools for your site, see our blog post. If you are a digital marketer or build sites for your clients then you should consider partnering with CDN.net to increase your clients’ online conversions with faster web performance, improve their search ranking with lower page load times and prevent an overloaded server by distributing content over our network when traffic spikes. We offer 15% to our partners for all clients they manage. If you build games or web applications, CDN.net speeds up delivery of static Flash and HTML elements by serving content closer to your users. It’s also a great solution to mitigate against outages of your own infrastructure for a high number of web requests. If you suffer a Distributed Denial of Service (DDoS) attack which typically throws 50gbps of useless requests at your servers, can distribute the traffic over a larger network. If you manage a popular site then CDN.net is easy to implement and manage through our control panel. You can prefetch large files or purge individual files if you do not want to wait for the hourly cache update. You simply have to add a CNAME record through your DNS editor and we will serve any static content from our edge server closest to your site visitors. This dramatically reduces the latency and page load times. We integrate with popular CMS systems like WordPress & Drupal. Will it work with different screen sizes? CDN.net will serve any static content regardless of the device or browser your visitors use. We recommend using JW Player and Wowza Media Server 3 for advanced video on demand functionality. You can easily setup a new CDN resource inside of our customer portal. What DNS records do I need to change? We offer free support via help.cdn.net and respond quickly to any incident. We have a dedicated team to support you with setting up all the way to break-fix and complex requests. For customers needed proactive monitoring and dedicated support, we offer paid Premium Support. You will be notified by email when your prepay balance is approaching 10% and have up to 3 years to use any prepaid credit. You can check your prepay balance by logging into your Dashboard. Your account will be automatically setup in most circumstances. In rare instances, we will need to validate your account. Once you're account is setup, you'll be able to login to our control panel and setup your new resource. Allow up to 30 minutes for our edge servers to cache your content and up to 24 hours for your DNS records to propagate (quicker in most cases).